We offer the everyday legal services you require to move smoothly through each stage of life’s journey. Property law when purchasing your first home. Equity release when you are ready to retire. Financial claims or personal injury services when something goes wrong. Will writing to protect you and your loved ones. GWlegal began as Goldsmith Williams Solicitors in Merseyside more than 30 years ago as a small firm of property lawyers. We have grown into one of the country’s most respected national firms since then. However, our approach to our clients, stakeholders and people remains very much that of a smaller, local business. The receptionist who took your call in 1999 may well do so again when you phone back in 2017. Our department heads have years and years of experience at the firm. Overall, the majority of our staff boast long-service status. In turn, the service we provide to clients is warm and personalised (yet straight-forward without confusing, legal jargon) and done so with a desire to exceed expectations. Thank you Mrs Williams for the great review. We're glad you had a pleasant experience using our services and hope you use us again in the future. Many thanks, the GWteam. Hi, thank you very much for taking the time to leave a review of our Equity Release services. We hope to see you again in the future. Best wishes the GW team. Megan was extremely polite and always very professional ,and I would recommmend the company in future. Thank you very much for your review. We look forward to working with you again in the future. Best wishes, the GW team. A friendly, efficient and professional service. Hi Mr Fleming, thank you for your kind words about our Remortgage team. We're really pleased you enjoyed our services. All the best the GW team. Superb service throughout . All contacts whether face to face, by 'phone or email were helpful , friendly and very professional. Thank you. Thank you for taking the time to leave a review of our legal services. It has been a pleasure to assist in your Equity Release. Best wishes, the GW team. Alex Kelly was brilliant throughout my personal injury case. She kept me informed throughout and always had my best interests at heart. Hi Miss Davies. Thank you very much for leaving a review of our services. Best wishes, the GW team. Hi Mr Hawksworth. It has been a pleasure to assist you with your Equity Release :) If you need any further updates in the Liver Building please do keep in touch. Kind regards, the GW team. Hi Mrs Tansey, thank you very much for taking the time to leave a review. It was our pleasure to assist with your claim. Best wishes, the GW team. Service was excellent from start to finish. I wish all companies were as efficient as GWlegal. Hi. Thank you for taking the time to leave a review of our services, we really appreciate it. Best wishes, the GW team. Superb service. Fast, efficient and very friendly. Hi Mr Cunningham. We're really pleased to have assisted you in your Equity Release. All the best, the GW team. Excellent service in all aspects of my claim. I have been highly impressed with GW’s efficient and professional handling throughout. I will most certainly recommend GW and would like to say thank you to all the staff with whom I have dealt latterly. They have been exemplary in courtesy, efficiency and most importantly having a truly personal touch which is so refreshing in this automated business environment. Hi Mrs Mack, we would like to thank you for your kind review. We're really pleased to have helped you with your claim. All the best, the GWteam. Hi Mrs Liddle, thank you very much for leaving a review. We look forward to seeing you again in the future. All the best, team GW. I contacted GWlegal for some general advice when a relative passed. Even though I wasn't a client, Linda Cummins spent over 45 minutes on the phone, giving me advice tailored to my case which was provided free of charge. I was so impressed with her that my husband and I subsequently made an appointment to arrange our wills, and again we were delighted with her and the service we received. I could not be happier with Linda and GWlegal and cannot recommend them highly enough. Hi. Thank you very much for taking the time to leave us a review, Linda would like to thank you for your kind comments and support. Best wishes the GW team. I would have liked to give this company 5 stars based on their service efficiency and persistence, however, I am giving 2.5 stars because I must warn people to pay attention to the charge which is 20% fee. This 20% charge is not based on what you receive, it is actually based on a proposed offer. I was offered £2000 plus but received in the region of £1800. From my understanding of the conversation with the staff there, I would pay 20% of what I received but I paid 20% of the £2000 plus. Got to be honest people, this is not a bad company but they would have received 5 stars had it been made clear to me from the beginning. Such a shame really. Kind regards, the GW team. We wish to thank Emma Gilhooley for the efficient, professional and friendly way in which she dealt with our application. We would certainly recommend her and GW Legal. Thank you very much for taking the time to leave a review of our services. Best wishes, the GW team. We're really pleased we could assist you in your claim Mr Thompson. Many thanks for your kind words. All the best, the GW team. Thank you very much Mr Kirby, it has been our pleasure to assist with your equity release. All the best, the GW team. My overall experience with GWLegal was excellent. I dealt with Joseph Connor on several occasions throughout my sale and I can only say that he was excellent and is a real credit to the company. Outstanding customer services, extremely helpful and thoroughly professional at all times! I would highly recommend GWLegal to others and will come back to you again in the future. Thank you very much for your kind words about our team member, Joseph Connor. We have thoroughly enjoyed working with you and wish you all the best. Thank you very much for taking time to leave a review of our services, if we can be of any further assistance to us please email discuss@gw.legal. Kind regards, the GW team. Very happy with the service from GWlegal all the way through and I would highly recommend them. Thank you very much for leaving a review of our services. Wishing you all the best with your Equity Release. Best, the GW team. Thank you very much Mrs Aziz, our pleasure to help. Best wishes, the GWteam. Thank you very much for being one of our loyal returning clients Mr Schorah. It is our pleasure to work with you. We hope to see you again soon. Best, the GW team. My dealings with GW Legal were made simple and easy. When they said they would do something they did it and the whole process was handled very efficiently and quickly. Hi Mrs Davis, thank you for taking the time to review our Equity Release service. We're pleased you found it efficient and helpful. Kind regards, the GW team. Every member of your staff whom I dealt was thoroughly professional, knowledgeable and appropriately friendly. Communication was excellent and I always felt confident that your staff had my interest at heart. I have been absolutely delighted with your service and will happily recommend you to anyone who asks. Alex Burns was a star. Thank you very much for taking your time to leave a review of our services, it was a pleasure to assist you with your Equity Release. All the best the GW team. Is a council house property. This house is not good to live there is damp many place are not good i report it many times they dont want to listen and am paying every month please can you help me and talk to them so that they can do something. Please email us at discuss@gw.legal with an overview of your problem and your contact details. We will have a member of the team contact you to see if we can help. Thank you Mrs Smith, we hope to see you again and carry on many more conversations with you :) Best wishes the GW team. Very fast very good very pleasant and very professional as well on the telephone thank you so much GW legal. Thank you very much for your kind review. Best wishes, the GW team. We have been very pleased indeed with the service received. we should also like to pass on our thanks to Mary Kelly one of your agents who visited us in our home for her efficiency, courtesy and professional manner. Everything has progressed speedily and much sooner than we expected. Very well done! Thank you very much for taking the time to leave a review of our services, we were really pleased to assist you with your Equity Release. Best, the GW team. Emma Gilhooley was so helpful, friendly and proffessional. Thank you very much for taking the time to review our services. All the best, the GW team. Thank you very much Mr Bentley, Andrew and the team are delighted to have assisted you. All the best the GW team. The process was managed very well with a professional approach shown at all times whilst maintaining a friendly demeanor. Thank you very much Mr MacMillan for your review, Richard and the Equity Release team are pleased to have assisted you. Best, the GW team. Thank you Mr Smith, Linda and her team really appreciate you taking the time to leave a review. Many thanks the GW team. I cannot speak highly enough of GW Legal. Staff were incredibly helpful and nice, things dealt with really quickly and it was an all round first rate and highly professional service. Thank you very much for taking the time to leave a review of our services Miss Curtis. Anna and the team were very happy assist you with your case. Best wishes, the GW team. Thank you very much for your kind review. Best the GW team. We really didn't know what to expect but after a very quick turnaround and a trouble-free few weeks we cannot fault the timeline or the handling of this process. We were informed and up-dated at every stage and all information was clear and helpful. The professionalism and courtesy from the people we spoke with was a tremendous boost to maintaining our peace of mind in what could have been a very stressful experience. In the event it was anything but stressful. Thank you. Thank you very much Mrs Morrison for taking the time to leave a review of our Equity Release service. We're really pleased to have assisted you. Best wishes the GW team. Thank you very much Mr Blundell, Linda and her Wills team appreciates your kind feedback. All the best, the GW team. We all know the conveyancing side of moving house is complicated, difficult to understand and stressful and ours was no exception, BUT David Lowry and his team, especially Kelly Whelan, guided us through the maze with remarkable patience and professionalism and succeeded with perfect timing on our complex completion. Many thanks to David and Kelly. Thank you very much for your kind review Mrs Priddey, we are delighted that we could assist you in purchasing your home. We wish you all the best in your property. Kind regards, the GW team. Very down to earth and friendly service. Not having had to do financial things before on my own, I found the people extremely kind and helpful . I will certainly recommend GWLegal to my friends. Thank you for making things so easy. Thank you for taking the time to review our Equity Release service Mrs Annis, we are pleased that you found our service satisfactory. Best wishes, the GW team. I thought the immediate creation of an account was very useful. You had a continuous update of progress. In addition to personal contact. I also thought the contact was very reassuring towards my home visit,and toward the finalisation on completion. We're really pleased you were satisfied with our GW account Mr Keeble. We're were happy to assit you with your equity release. Best wishes team GW. Everyone I dealt with was courteous and helpful, but Elaine has been extremely prompt and efficient in all aspects of the work, coupled with her excellent phone manner made her stand out to me as someone who is dedicated to her work. Thank you very much for taking the time to review our services Mrs Williams, it is highly appreciated. Thank you for your kind words. It was our pleasure to assist you with your Remortgage. Best wishes, the GW team. I thought the service GWlegal provided was outstanding. Staff were courteous and helpful at all times and they made the whole process stress free. We're extremely happy to hear you are satisfied with our service. The team wishes you all the best Mrs Kendall. I couldnt have ask for a better company to deal with our equity release I hope that more people choose you company. Thank you Mr Savage for taking the time to review our services, all the best to you. Kind regards, the GW team. Thank you for taking the time to review our services. All the best the GW team. Thank you Mrs Gregg. We our extremely pleased we made your mother feel comfortable, it was our pleasure to assist with her equity release. Best regards, GWlegal. The legal side was explained, and very well covered and all options were explained. We are very pleased to hear that you found our process informative. All the best the GW team. Thank you for taking the time to review our services Mr Crisp we hope to see you again. Best wishes, the GW team. Generally well satisfied with the service. Thank you for your help and advice in difficult situations. Thank you very much Mrs Bitnere for taking the time to leave a review of our services. Best wishes, the GW team. Thank you for your kind review Mr Green. Best the GW team. Thank you very much Mr Blackwell. Best the GW team. I found the service I received was excellent and very professional. Thank you for the review Mr Baynes. Best, the GW team. Everything ran very smoothly and efficiently. The whole process completed within a couple of weeks. First class service! Thank you for your kind review. Best wishes, the GW team. Thank you very much Mr Hawkhead, we hope to work with you again. Best the GW team. At this moment, I cannot give any words or comments on how GW could have performed better. May I just wish you every success and thank you. Thank you very much Mr Atkinson, we wish you all the best and hope to see you again. Kindest regards, the GW team. Great service and very easy to use. Always kept in contact and painless paperwork and very professional. Thank you for your review, it has been our pleasure to help. Best wishes, the GW team. Excelled in professionalism, civility, but most of all, pastience. We're glad you found our service satisfactory Miss Ball, thank you. Hi, weâ€™re sorry to hear your disappointed with our service. We would really like to look into this in more detail for you? 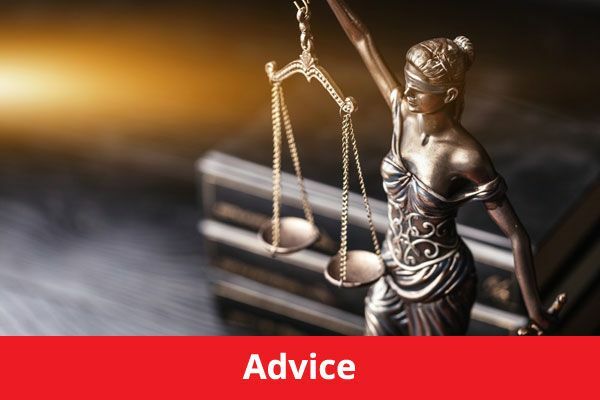 If you could kindly email us on discuss@gw.legal with your case reference number we will ensure someone gets in touch with you as soon as possible. Kind regards, the GW team. Good service no problems and very prompt. Thank you. Thank you very much for your review. Best wishes, the GW team. Thank you very much for your review, it was Helen and her teams pleasure to assist you in your remortgage. Best wishes the GW team. As a company they were brilliant from start to finish. Everything was explained in full each time I spoke to one of the advisors reminding me of exactly what was happening during the process and everything that we had spoken and agreed to with regard to the equity release. At no time did I feel pressurised by anyone and they were more than helpful but to go over things that I was not sure on. Absolutely and unbelievably professional at all times. Thank you very much Mrs Gratsa for taking the time to write your kind review. It was our pleasure to assist you with your Equity Release. All the best, the GW team. Very prompt efficient service, very clear and thorough representative. Friendly and business-like. Thank you very much Mr Wolf. Best the GW team. I'm very grateful for your service, experience and professionalism of your staff especially when it comes to writing to client in simple English language. Will definitely recommend you to any of my friends, family and colleagues. Thank you so much Sue. Thank you very much for your very kind review, it has been our absolute pleasure working with you in your conveyancing. Best wishes from Kerry Walker and team. Could not have wished for a more prompt service. Kept up to date every step of the way. Excellent!!! Thank you very much Mr Dobbins, you have been a pleasure to work with. Thank you, best the GW team. Thank you very much Mrs Addy - all the best the GW team. Thank you Mr Green, pleasure to assist you with your Equity Release. Best, the GW team. Not having the decency or respect to reply to my recorded delivery letter of compalnt or my subsequent email this company of conveyancing solicitors is the worst I have ever come across. It took one week short of four months for my purchase to go through with no chain, just excuses My sale was not much better plus the increase in charges above their quote unbelievable. Canâ€™t say too much as on Friday I will be contacting the conveyanciing ombudsman with all the relevant information to claim back the huge extra expense G W Legal have caused me. I was extremely impressed by the efficient manner in which my equity release was dealt with. Thank you GWlegal. You have been very quick and kept us aware of the proceedings and our thanks in trusting you for keeping us so well informed. Thank you Mrs Garrod for your kind review. All the best, the GW team. Initial contact was very professional and polite over phone. After clarifying cost involved I am left very disappointed. I feel that I am now in a position that I have to keep chasing for a response. Overall I have lost trust in them will not recommend as when challenged they will ignore and leave you waiting, I believe that's unprofessional behavior. Hi Isaac, I understand our Partner, Chris, is in contact with you to discuss your concerns. If you would like to discuss the matter further though, please do contact discuss@gw.legal. Many thanks the GWlegal team. It is unfortunate to hear that you will not be using our services, however, if you would like to view all our Wills and Probate reviews please visit https://www.solicitor.info/gwlegal/liverpool/#filterreviews and filter reviews for Wills and Probate. If you would like to work with us in the future please get in touch by emailing discuss@gw.legal. Kind regards, the GW team. Excellent service dealt with in a friendly and helpful compassionate manner. Thank you very much, from the GWteam. Every person I spoke with on the phone was polite, pleasant and gave clear concise information. Thank you. We are pleased you are satisfied with our service Mrs Bennett. A thank you from all the GWteam. I was kept fully informed throughout the process - by phone and letter & I felt completely comfortable that the matter was in the hands of experienced professionals. I was a little unsure about ppi claims and uncertain about the procedure involved. I knew from speaking with your firm and your level of professionalism you were likely to get me a result. Thank you Miss Kumari, delighted to help. My experience with your company was unbelievable, nothing was to much trouble and it went through without me having to worry about what is next. Overall it was one experience that I would recommend to anyone thinking about doing the same. Thank you very much for your kind words, we are very pleased that you are satisfied with our service. Best the GWlegal team. From personal research and anecdotal reports I chose GW Legal for their good reputation. My experience has been excellent particularly from Catherine Taperill. Thank you Mr Medley, we're really pleased you are satisfied with our services. Glad to help you! Best, the GW team. Thank you very much Mr Dawkins, we're really glad you found our service swift and informative. We hope to see you again! All the best, the GW team. The girls we dealt with on the telephone were especially courteous, very helpful and good at explaining everything simply. Everybody has been very helpful in what was not an easy decision for us to take, no â€œhard sellâ€ or pressure was ever put on us. In the end it was an easy decision and we felt very comfortable about making it. Thank you for your kind review Mrs Williams. The team were delighted to help you with your Equity Release and we hope to see you again in the future. Kind regards, the GW team. Excellent service & would recommend. We're pleased we could assist you Mr Berry. Thank you- the GWlegal team. I would just like to thank all those involved in bringing my Equity Release to a speedy and satisfactory conclusion. Initially it was something that was daunting to say the least but the people involved put my mind at rest that I was doing the right thing. Thank you. Equity Release requires some careful consideration and communication along the way is vital to ensure that the procedure runs smoothy and people are at ease with events. From our experience GWlegal excelled in this area. Payments were made on time, when they stated they would do something they did, and we would have no hesitation recommending GWLegal to anyone. If others are considering Equity Release and GWlegal are involved, then you can sleep easy. Our equity release team would like to personally thank you Mr Porteus for your outstanding review, the team were very happy to assist you with your equity release. If you need anything else please do get in touch on discuss@gw.legal. All the best, the GW team. Stay clear if you want to remortgage to consolidate loans. Iâ€™m currently using GWlegal to remortgage as they where on my mortgage lenders preferred list and I thought it would speed things up, well what a big mistake that was. Itâ€™s like they have never done this sort of thing before. They ask for information near the end of the process which should of been done at the beginning which then causes pointless delays. Thereâ€™s no communication unless you contact them yourself ,and when you do contact them itâ€™s never the same person and they tell you something completely different to what the last person said. Itâ€™s a really poor service for the amount of money you are paying out. I can guarantee they wonâ€™t be this slow to collect there money on completion day , if we ever get there. We would like to apologise that you are disappointed with the service you have received from GWlegal. If you would like our Head of Property to give you a call to discuss your concerns with your case in more detail with you can you please email us at discuss@gw.legal. Many thanks the GW team. Getting an answer to an email late one evening was service beyond the call of duty! Thank you Ms Prentice for your kind review, our Equity Release team were delighted to help you. All the best from team GW. I would like to thank Aisling for her kindness and very professional handling of our equity release, I was never left wondering what was going on and made to feel valued. I would highly recommend GWlegal. Hi Mr Jones. Aisling and our equity release team would like to thank you for your kind review. Happy to help you with your equity release. All the best, the GW team. Excellent - efficient, courteous and speedy. Thank you for your kind review Mrs Clare, we hope to work with you again. I would not recommend these solicitors. I out of politeness gave these solicitors a fairly good review when they ask me for feedback as I was so relieved that it had gone through. But now I take it back. I have just found out that cash-back that was due to me was used in the proceeds of sale. They did not consult me as my mortgage offer stipulated they should. They included it in amongst all the fees etc without bringing it to my attention or asking me whether it was OK to use it for fees. I was only aware that it was included when I actually queried where it was! I am really angry with this. The whole conveyancing took much longer than it should. They didn't respond to queries quick enough. Myself and the estate agent spent ages chasing people to speed it up. They don't seem to communicate with each other or to anyone else as a matter of fact. I found them very frustrating. From beginning to end the service was very professional and easy to understand. Thank you very much Mr Wood for your kind review. The service provided was excellent with good feedback on progress. We're pleased to hear you enjoyed our service! We really cannot fault the service we have received from GWlegal, it has been excellent at every turn. our case has been dealt with promptly and efficiently and has only taken just over four weeks from start to completion. We would have no hesitation in thoroughly recommending your company. Very many thanks for making this a completely stress-free experience. Thank you very much for your kind review, our Equity Release team is delighted to hear you are satisfied with your experience with ourselves. All the best, the GW team. Every part of our equity release package from GWlegal was straightforward, the staff who we talked to were very friendly and most helpful from start to finish and a credit to the Company GWlegal. Thank you very much Mr Spinks, we're glad everything was to your satisfaction. We hope to see you again. Thank you, pleasure to assist you with your Personal Injury claim. Staff were very helpfull. Listened and gave explanations so I understood. Can't fault them. I dealt with Susan Brockenbow on a previous house purchase and she was great, helpful and thorough. Sue and her team thank you for your kind review, we were delighted to assist you again. Linda and her team would like to thank you for your lovely review. Good level of support and communication. Happy to assit you Miss Rose, many thanks for your review. Twice i've had had interaction with GWlegal, everybody I dealt with were dedicated and professional, no hesitation dealing with them, wholly recommend them. Help and expertise second to none. Thank you very much Mr Maddigan, lovely to have you back again and we hope to see you again in the future. I would like to extend special thanks to Elaine beamish. My case was a particularly sensitive one which seemed to encounter problems throughout. Elaine was so helpful and understanding. I felt very reasurred that she was putting every effort to see it through to completion within a very tight deadline which she did! A lovely person who deserves recognition for that. Thank you very much Anne for your lovely review, we have been delighted to assist you with your Remortgage. Elaine and her team thank you for your continued support. Very satisfied about everything. The level of professionalism is outstanding. Our Personal Injury department would thank you for your kind review. Our delight to assist you with your claim. A thoroughly professional Firm whose performance with my case has been excellent. I cannot think of one recommendation I could make to improve that performance. I have dealt with many Legal Firms but yours is the first one that has given me total satisfaction both times you have represented me. Many thanks for your professional and timely actions. Thank you so much Keith for your kind review, we're really pleased you enjoyed our services. We hope to see you again in the future. I was completely satisfied with the work that was carried out on my behalf by your staff and in particular my appointed solicitor, Fiona Telford. I was impressed with the care with which Ms Telford insured that I fully understood and that I was comfortable with the agreement I was to enter into. I also happy with the speed in which the matters were dealt with. Thank you for your kind words, it has been our absolute pleasure to assist you and we're glad you found our services swift and efficient. Best the GWlegal team. My contact at GWlegal has been Lesley Chadwick - a highly professional, friendly voice on the telephone - a person one can relate to easily and has been extremely helpful. Thank you for your kind words Mr Parker, we will pass on your comments to Lesley and our Financial Claims department. Thank you very much for your feedback! It is highly appreciated and we're glad you were satisfied with our services. It was our pleasure to assist you in making your will. Very good service. Good customer service from Helen Airey! Thank you for your kind review Mr Mccallum. Both our firm and Helen appreciate your comments - all the best the GWlegal team. All staff have been cheerful, helpful and extremely polite. Always have explained everything to me. Thank you Andrea, it was our pleasure to assist you. We are very satisfied with the service provided by GW Legal - in particular in the case of the only face-to-face meeting, with Mr Graham Fossey. Throughout our discussions he was thoroughly professional, friendly, courteous, knowledgable relaxed and re-assuring. Thank you Mr Fossey and GWLegal. Thank you very much Mr Wood for your lovely feedback, it has been our absolute pleasure to assist you with your equity release. We will pass on your comments to the Graham and the team . Karen and Sue were both absolutely brilliant in dealing with my sale and Purchase, I would highly recommend the use of their services! Thank you for your kind review Haley, we're delighted to hear you liked our services. We will pass your comments onto Karen and Sue - kind regards the GW team. The service given from start to finish has been stress free & very professional. I would highly recommend GWlegal to anyone wishing to do an Equity Release. Thank you for your review Mr Palmer. We were delighted to assist you with your Equity Release. All staff professional and thorough in approach. A friendly manner too. Thank you for your kind review Mrs Wilson, it was a delight to assist you with your Remortgage - the GWlegal team. GWlegal offered a very professional service at all times w e were most impressed. Thank you for your kind review Mrs White, it has been a pleasure to assist you with your Equity Release. Thank you very much for your kind review Mr Snook, it was a pleasure to assist you with your Conveyancing. Kind regards - GWlegal team. Thank you for this very kind feedback. It was a pleasure to assist with your financial claim. Excellent service and communication. Thank you. What a lovely review. Thank you! Great assisting with your equity release. The GW team. Thank you! Delighted to assist with your conveyancing! Everything was brilliant - Karen and Sue did everything in their power to get the purchase through! Thank you Alex. So delighted to help you complete your house purchase! The GW team. Again. Very very impressive. Courteous and efficient. Many thanks from my wife and myself in completing our equity release. As you can gather we are not young people (77 years and 76 years). We have lived in our present home for some forty years and have no wish to leave it. This has enable us to ensure that either of us can remain here when one is left alone. Thank you so much. A delight helping. Absolutely excellent service at every stage. Prior to this experience I might well have felt some reservation at using Legal Services that were geographically distant from me. This experience has demonstrated that such concern need not be of great import. Many thank you for the kind review, Mr Allcock. Delighted to assist with your equity release. My lender appointed GW, so I unfortunately had no choice in the matter. Initial costs were 25% higher than the mid price of 3 quotes that I received elsewhere. Purchase almost fell through as GW couldnâ€™t meet the deadline after 3 extensions. Hello there. We're very sorry to hear you have not had a good experience. Without your details and case reference number we are unable to locate the details of your case. Please do feel free to pop us an email on discuss@gw.legal so we can discuss the issues you've raised with you. Many thanks, the GW team. Thank you! Delighted to help and will pass on your great feedback to the team. Thank you for your kind words Mr Padam. We will pass on your great feedback. Delighted to help. Thank you so much Mrs Batchelor! I was extremely impressed from the very first contact that was made. Everyone that I spoke to at every stage of our claim was professional,friendly,courteous and efficient and a credit to your company. I would have no hesitation in giving this reference,using your company again and in recommending to friends and family. Many thanks for the great review Mr Redmond. Delighted to assist with your financial claim. All staff were courteous professional and easy to understand, no industry jargon and explained everything in a manner that would allow no misunderstanding. Thank you Mrs Benson! Glad to help. I would like to give a personal thank you to Kerry walker, Lisa Oram and Shelly Cookson for their outstanding help and advice throughout my purchase. They were exceptional and made my experience as quick and easy as possible. Cannot thank them enough. Thank you for the wonderful review Mrs Padam. We will pass on your great feedback to the team. I was very happy with the whole experience. Thank you again. Many thanks. Delighted to assist. I loved the personal service and regular updates. There have been times I have been at work and unable to take calls however Catherine (my rep) was always resourceful and patient using my email address and sending info quickly this way along with follow up text messages. I never felt pressured and always felt in good hands. Thank you Catherine! Many thanks for the amazing feedback! A first class service throughout. Would recommend Goldsmith Williams to anyone. The home call service very helpful. personally once all paperwork was with yourselves via the courier and the mail, everything progressed really quickly,. we were amazed at how efficient everything was handled in just under 9 weeks. Many thanks Mrs Elson! Delighted to help. My case was with Andy. He was polite and kept me informed On one occasion he wasn't there but the lady I spoke to was also well informed about the case so I didn't have to call back. Thank you! We will pass on your great feedback to Andy and the team. Many thanks. Thank you! Will pass on your kind words to Anna, who will be delighted. I unusually answered a cold call - PPI/You've had an accident (I've had no accidents, fyi..) calls get short shrift so its luck of the draw that you were answered but Catherine Taperell has done a great job so far. Delighted that you were pleasantly surprised, Mr Smith!! Thank you for the great review. Many thanks for the kind review! Glad to help. The GW team. Terrible terrible terrible company. If I could give them negative star rating I would do that. Rude staff's especially Emma Lynch, she needs to learn how to speak to her customers and not be rude. Too slow and not proactive at all. Took them 3 months to complete my remortgage, our broker recommended this company and I'm sure they have realised how bad they are. Expensive in comparison to others but I had no choice as I had to use them, due to lenders requirements. I WOULDN'T RECOMMEND THIS CONPANY TO ANYONE!!!!! Hi Dharmesh. We are very sorry to hear youâ€™re unhappy with your experience with us at GW â€“ it certainly doesnâ€™t sound like it was up to our usual standards! 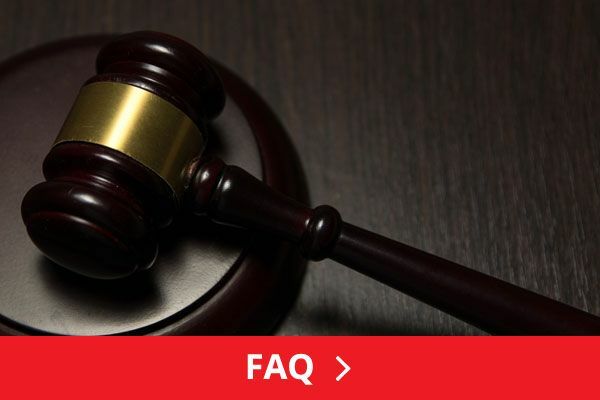 Unfortunately, we are not able to locate the details of your case without some more contact details from yourself, to look further into the matter. If you would like to get in touch on discuss@goldsmithwilliams.co.uk with your client reference number, we will get in touch right away. Alternatively, phone us on 0845 373 3737 - ask for Lynne McCaffrey in the property department. Kind regards, the GW team. That's great thank you - our Head of Property Lynne will be in touch with you within 24-hours. Kind regards, the GW team. David meadows kept me informed of all progresses made to my case. He gave me relevant advice and most of all was extremely polite, helpful and friendly. Thank you so much for the great feedback Ms Stewart - will pass onto David! Fantastic from the start and really happy we went with you. Many thanks for the great review! Delighted to assist with your financial claim. Give yourself a star status especially Helen White! Thank you Ms Quinton-Smith. Delighted to assist with your equity release. the service received was 100%, thank you. Many thanks! Very kind of you to say. PPI SALES CALL. I have been called 3 times in a space of three weeks for this same company. On 3 separate occasions I have asked for my details to be taken off. 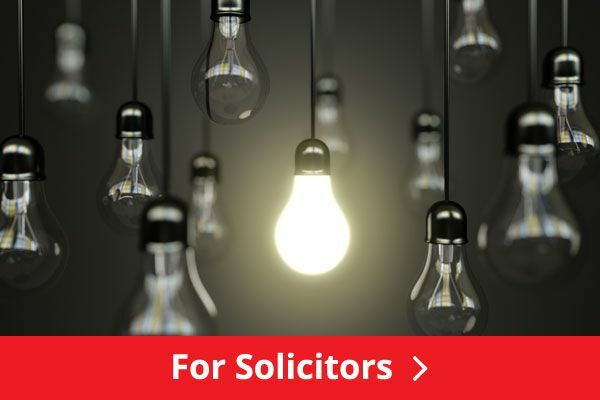 No honest solicitor firm would use cold calling as a method of business. Last person I spoke to was by the name of Keith. Extremely rude. No consideration. Please rest assured that we only make phone calls to individuals who have â€˜opted-inâ€™ â€“ that is, ticked a â€˜yesâ€™ box to receive marketing correspondence. Many thanks, the GW team. Heather Kitsen and Joeseph both very polite and a pleasure to deal with. Used GW on a few occasions now and would use for future purchases. Thank you Mrs Jackson! We will pass your kind comments on. All the best, GW. Many thanks for the review! Delighted to be of assistance. So glad to help! Thank you. I would just like to say that Ms L Cummins was very professional, polite and very helpful and would not hesitate to seek her assistance in the future should the need arise. Thank you! We;d be delighted to help. Thank you for the great review, Ms Stewart! We will pass the feedback onto David. Kind regards, the GW team. I dealt with Tara McDermott who was first class. Ensured I understood each aspect and kept me up to date - highly recommend her for her dedication and professionalism. Thank you! Delighted to help with your conveyancing :) Kind regards, the GW team. Slow service, and rude. I feel the only way my sale progressed is when I had to get involved and complain. They sit on documents for days. I was told over the phone that they receive over 200 emails a day and can not prioritise anything they will get to it as an when it's next in the queue. Even if this is how they work, to be told this over the phone is terrible. No relationship or communication at all apart from letters in the post. A call centre approach to conveyancing and very expensive. I had to repeat myself and wasn't listened too on occasions. I was recommended by my broker but wish I had done my own research and went with a local Solicitor. My seller is actually purchasing a flat in the same block as me and they were ready to exchange over a month before me. They threatened to pull out because of lack of communication but this was not taken seriously until I called to complain. The sellers will be my neighbours when we complete next week and it is unfortunate that this situation has damaged our relationship. I will never recommend Goldsmiths. I have raised a complaint but not heard anything in over a week. Not had any apology at all yet and made to feel like I am the problem. If I treated my clients like this I would not have any left! Hello Claire. We are genuinely really sorry to hear you were not happy with your experience with us at GW. Our Head of Property Lynne posted you back a response last week that you might not have received yet, however we would be more than happy to discuss the matter with you over the phone, as soon as convenient for you? Please feel free to give us a call on 0845 373 3737 and ask for Barbara Hillen. Alternatively, email discuss@goldsmithwilliams.co.uk and weâ€™ll be back to you immediately. Kind regards, the GW team. Really really good - you knock spots off all other solicitors that we've used for conveyancing. We wouldn't use anyone else. Hi there Mrs Card. What a delight you are! Thank you for this fabulous review. All the best, the GW team. Professional and quick on my financial claim. Delighted to help! Thank you for taking the time to write us a great review. Excellent service from start to finish . Thank you all. Delighted to help you with your remortgage! Many thanks for the great review. Rapid, efficient and very professional service. Would highly recommend Goldsmith Williams. Many thanks for your kind review! We were really impressed with the service provided for our financial claim. We has regular updates and were always able to speak to one of the team who was able to access the information we required. We would like to mention Megan Rose, Megan Buckley ,and Anna B in particular. Their hard work on our case has been much appreciated. We will recommend your services without a doubt. Thank you Dr Munro! Delighted to help. A very easy to use and informative app. Goldsmith Williams provided a very professional and prompt service for my remortgage. Many thanks for this fab review! The GW team. Goldsmith Williams Solicitors delivered an excellent service and I would highly recommend them. Thank you Mr Brown! Delighted to help you successfully win your personal injury case. Thank you for the lovely review Mr Nicholson! We used GW as we were governed by our mortgage lender which solicitor we could use when purchasing our property. I would avoid GW at all costs. Not only are they expensive, they wouldn't know what good customer service is if it hit them in the face! On multiple occasions they contradicted themselves, told us lies and didn't even know the details of our case - telling us the process of buying a flat will easily take 12-14 weeks, we were buying a house & calling my husband the wrong name. On top of their ridiculous costs, if you want to speak to them (which you will need to do several times a day to make sure they remember to deal with your case) you have to phone an 0845 number which set us back an additional Â£150 for just one month! The whole process took several months for a simple purchase - there was no chain! They have no sense of urgency, they use a third party to conduct the searches on your property which costs you more money and they are just as poor as GW! I raised all my concerns with the head of department, expressing my concerns of the poor service and communication and I had to chase a response from them several times. When I did get a reply to my formal complaint, they just stated back to me what I said and ignored the issue I had with the poor communication & service. If you want to purchase a property in a timely manner, pay reasonable fees and feel valued as a customer, THEN STAY FAR AWAY FROM THIS COMPANY!! They caused us nothing but stress. The time I spent chasing them, phoning other organisations to find out GW had been lying to us and trying to get our purchase completed was absolutely unacceptable for the money we were paying and the service you expect. They absolutely should be ashamed of themselves. Look on their Facebook page, doesnt give you the option to leave a review, unlike other companies and is filled with 'take your dog to work' & 'after work drinks' speaks volumes for the image of a so called professional company they like to think they are!! Many thanks - the GW team. I think this is the quickest response I've received from GW. Thanks but no thanks. I tried to talk to you about my concerns and dissatisfaction, it's now too little too late. Very polite and clear updates. Thank you Mr Radin! Very happy to help with your equity release. Delighted to help. Thank you for the great review! There was several queries we had to deal with while going through the process of Equity Release, these were dealt with in a professional manner by Ms Helen White at your Liverpool office. Thank you! Delighted to help. I am very happy with all the service I received whenever I inquired about anything. Everyone was very polite. Once again, Ross 'got it' from the start when I was running out of time to 'book my slot' in my builder's schedule. - He is booked up for months ahead. Your Ricardo was magnificent too - lovely helpful guy. - would say both are assets to your company. From the first introduction to Goldsmith Williams by the Financial Adviser to the completion of our case, we have been met with nothing but professionalism, extreme competence, kindness, and patience. For us, undertaking Equity Release felt an enormous, daunting prospect, but Goldsmith Williams' dealing with us reassured us we were in safe hands. The gentleman handling our case presented as very knowledgeable, competent and kind, and we felt reassured by him in every aspect. Thank you so much for this very kind review. Delighted we could help. The GW team. Fast, Efficient, Courteous Service ..Truly Outstanding..Thank you Fiona ! All good. Professional and friendly. Goldsmith Williams where professional, polite and helpful they talked me through every step and phoned with any updates. we received a good service from them. Thank you for your review. Delighted to help! Very satisfied with the service provided.very quick turn around on my equity release. As expected from the advice given by our equity release adviser, the service received from Goldsmith Williams entirely met our satisfaction with regard to professionalism and attention to detail. Speed. Ease of dealing with my fee earner Nichola Gifford on my equity release. I am very happy with everything that has been done. And am now just waiting for my pay out. Many thanks! the GW team. We were kept informed of the progress at all times. Thank you! Delighted to help. The GW team. Alex was brilliant and kept us informed every step of the way. The service we received from Goldsmith Williams was faultless. Thank you for this excellent review! Delighted to help. Thank you for the review Mr Cohen. Pleased to help with your equity release! Many thanks! A pleasure to help. BEWARE !! BEWARE!! . Awful! this must be be worse so called Solicitors in the entire country please avoid at all costs unless you have no time limit or finance issue, this company will destroy your faith in the legal service. We are really sorry to hear you've had a bad experience. We'd like to get this sorted for you? Please send us an email on discuss@goldsmithwilliams.co.uk and we'll look into right away? Speed. Ease of dealing with my fee earner Nichola Gifford. Best solicitors for conveyancing we've ever used. Unhappy, I do not like receiving cold calls. Only responded to original call as it was a local number, This company is not local. Giving one star as they atleast did say whom they were. Where do they get private numbers from? Hi, we would like to discuss this with you in more detail, please contact us at marketing@goldsmithwilliams.co.uk and we will ensure someone gets in touch with you as soon as possible. First class and when speaking over the phone very considerate and friendly. I would consider using your services again if needed as everything was dealt with very efficiently and Helen white was very helpful and friendly. Good information sent at the beginning of the process explaining the procedures about equity release. Splendid thank you very much! Every stage of the process was handled effectively and efficiently. Helen White was very helpful and courteous. Very good fast service Leigh Irlam who was my point of contact was easily accessible and made the experience very simple and problem free. I cannot fault the service I received. Lesley was on the ball throughout, without being pushy. Always professional and friendly. A very easy, uncomplicated process which is what most people need. Goldsmith Williams are friendly and understanding. Good at answering phone without a long wait, kept me informed all along and was very friendly. Excellent service thanks to Andrew Cahill for keeping up to date good job. I have been delighted with the help received from Anna Ramsell and her colleagues throughout the process. Always polite, nice phone manor, nice to be able to talk to somebody who was dealing with our case. In all what a very good service. The lady who visited us very polite and professional. I cannot fault the service I received from Goldsmith Williams. My contact, Anna Ramsell, was unfailingly helpful and sympathetic. After initial delays with my case (not caused by yourselves) Anna was aware that I needed a speedy payment of funds and she did everything in her power to bring that about - keeping me informed at all times. Additionally, the solicitor who visited me at home was thoroughly professional and helpful too - even giving me a reassuring follow up call. DO NOT USE! Absolutely appalling service, took 8 weeks to even respond to enquiries. Call for update to be told we will review your file when we get to it! We are sorry to hear you are disappointed with our service. 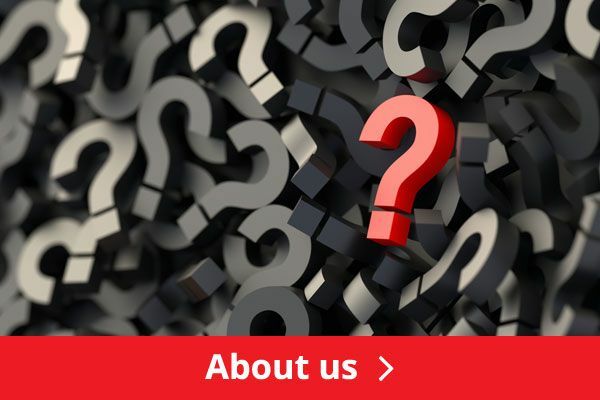 We would like to discuss your case with you in more detail, please contact us at marketing@goldsmithwilliams.co.uk with your contact details and case reference, we will ensure someone gets in touch with you as soon as possible. marketing department trying to cover up appalling service. YOU ARE AWFUL!!!!!!!!!!!!! I was very happy with the handling of my sale that is why I have scored you so high, pity some other solicitors are not like yourselves. I will use you again on the sale and the purchase of my next property or properties. THANK YOU. Very good service can't fault anything. Goldsmith Williams provided us with a very professional and efficient service. We found the on line progress information very helpful. Cannot praise the service I received enough. Courteous and skilled personnel throughout. Some body contacted me regarding claiming PPI. I spoke to him and he seemed nice and helpful and sent the information pack out. However, upon receiving the information I notice that another claimants information had been sent with my pack, name and address information. This concerned me as I read in the information that they follow Data Protection but see this asa breech. I contacted them to inform them of this and was told not to worry and to destroy the document, to me this raised alarm bells as she was so dismissive and flippant about it. I expressed to her that I found this concerning and was now wondering whether I wanted to go through with it; she responded it was fine. I also asked her what the company fee was and she told me 33%, I then queried this as the letter said 30% and she went away and returned saying that I was right. The fact that this company has staff who are clearly not clued up on UK law or knowledge of their fees concerned me so I will be refraining from sending my documents off. I will also be writing to the gentleman who's information I now have to make him aware of this. Thanks for getting in touch - this matter has been passed to the appropriate manager to investigate and they have sent you an email about the concerns you've raised. They are currently waiting for your reply. Once you get back in touch we will resolve this matter for you. Many Thanks. Agree with the original post. I am also now having trouble with fees. Was told 30%, then 33%. Everything was completed efficiently and in a friendly courteous manner. The young man who visited our house was charming and professional. We were very satisfied with the service. I've been extremely impressed with the service I've received from Goldsmith Williams in dealing with my equity release. I'd particularly like to single out Alex Burns in the Liverpool office - his professionalism, efficiency and courtesy in dealing with my case have been second to none. He's made the whole process easy and stress free and I hope these comments can be passed on to him personally. I would certainly recommend Goldsmith Williams to others. Thanks again. All good experiences. From friendly ladies on the phone to the polite and informative chap who called. Over all, an excellent, extremely efficient and very fast service. A perfect display of professionalism by GW in completing my case. I would hold no reservations in recommending this company. The service I received was first class. What I especially liked was the communication between myself and the advisors. I was always kept in the loop regarding my claim. Solicitors were always available to answer any questions, this made filling in the many forms a lot easier. Excellent service throughout the transaction, Special thank and appreciation to Leigh for all her help and advice. Overall I felt that the service was good. A big thank you to Alex Burns he as been brilliant from start to finish. Alexander Burns was the young man dealing with my case and I'd like to say he was polite, friendly and very helpful. He made everything plain to me and was very patient. I would like to pass on my thanks to him, please. I have been very impressed with GW services especially the tick boxes showing what stage the process is at. Goldsmithwilliam are the worst solicitors I have ever used and I have used a few. Their delays, constant requests for information that has already been sent, complete lack of customer service, delay in responding to emails (if they bother at all) and lack of urgency despite the tight deadline and being aware of my situation - was telling. Despite promises information was not sent to me on time, they were extremely fussy and were unhelpful when trying to resolve issues. Whats the point in filling out a questionnaire at the beginning if no one bother to take note of the information? Some firm I have come to realise are just hugely inefficient. When I complained they even suggested that they are very busy and are not able to reply frequently! I rarely bother writing reviews like this but frankly do yourself a favour and avoid at all costs. Goldsmith Williams service produced a high standard of customer service and I was impressed with the quality of their service. I would highly recommend Goldsmith Williams service to family and friends. Generally very positive. The process did take longer than I had anticipated, but it came out well in the end. Your service was very professional throughout, and I was kept informed of progress at all times, very impressed. The team have been outstanding considering the complexity involved. Well done team, I know how hard you have worked and that is very much appreciated. Quick response to phone calls, reassurance, everything explained perfectly, friendly yet professional. Avoid this law firm for PPI claims! I had a few claims which they resolved bar one (Welcome Finance). They closed the file stating there was nothing else they could do and I was free to pursue it myself. Welcome then contacted us to say they were now in a position to pay out the PPI and Goldsmith Williams tried to claim their fee! Told them I would do it myself as they had closed the case but they were insistent they were entitled to their fee!! I pointed out several times that they released me from their retainer to no avail. It was only a few days later (after I asked for their complaints procedure) that they stated they'd reviewed the letter and agreed it was closed!! Either they're lying and tried to extract money they knew they weren't entitled to or their incompetence is beyond belief (the first thing they should have done was looked at the letter ... I mentioned it enough times)!! Their conduct was disgraceful especially having received over Â£3k in fees from me already! They start as no win no fee. Then once they lost case. They said i misled them. Probably the best service I have received from a Solicitor in quite a few years. Everything spot on no problems at all. Very professional, very efficient and the understanding of my requirements provided an accurate and reasonable cost, which I was very happy with. It is almost as though they have never done this kind of thing before, endless rounds of requests for information rather than just asking for everything all at once. If you want to wait 6 months for a completion whilst they sit around working out new ways to slow you down and inconvenience you then these are the boys for you! Utterly contemptible, for heavens sake ask if your provider uses them, and if they do, then find another provider! I amonly giving them one star because I cannot give them zero. I would recommend avoiding Goldsmith Williams if you want your transaction to take a reasonable amount of time. GW were instructed by my lender in May and I am still no closer to setting a date for exchange and completion. My solicitor has found it nearly impossible to contact the right person, and her emails and faxed went unanswered. Due to GW incompetence I was forced to complete on the sale of my property and am now homeless staying with friends with all of my stuff in storage and my cats staying with family 100+ miles away. GW ignored correspondence from my solicitor from 18th July which sought to respond to all outstanding queries, instead GW repeatedly request the information again. After my solicitor sent responses 3 times GW 'found' her email of the 18th July and have gone away to consider it. If GW had read this email at the time it was sent I may well have been able to complete on my sale and purchase at the same time, which would have saved me a lot of stress and money. I still have no idea when or even if ever I will get into my new home. I would urge you to avoid GW at all cost. I'm in the middle of a simple remortgage/stair casing on my shared ownership property. I was told that it would be a straight forward process and be done in no time. The last update that I got from them was 2 weeks ago and they despite promise after promise I still haven't received anything. The service level is unacceptable and they lied to my face. They don't care about customer services, just just want to get paid. I've been spoken to in such a rude way throughout the whole process and it's left a very bitter taste. I would not recommend these people to my worst enemy. Shocking really, that a company could do this. They have no problem asking. For fees in a timely manner though lol. They are the rudest most incompetent people that I have EVER dealt with. Word of advise? DONT USE THEM. Rude company. A whole chain of people affected by one solicistors, William Goldsmith. PPeople literally waiting in vans for funds to transfer . Everyother solicitor has done this except you! No consideration at all for all these people waiting. We are sorry to hear you are disappointed with our service. If you would like to discuss your case in more detail, please contact Barbara Hillen on 0845 373 3737 or email bhillen@goldsmithwilliams.co.uk. Absolutely dreadful service. Referred to them through IFA who sorted my mortgage. Never again. Never returned calls and most of the staff sound like scallies. Highly recommended, the whole house transaction was smooth, informative and the team were very helpful at all times. Thank you. The service was spot on. I was regularly updated and provided with all relevant information in an easily understood form - whether written or verbal. I could not be more happy with the service provided. fast and efficent , cash settlement within 14 days . would highly recommend this company. Very impressive. Dealt with my claims in a very professional but human manor, if that makes sense. My claims handler Sarah is a very thoughtful and professional person. I would recommend Goldsmith Williams without any hesitation. Very good professional service at a competitive rate - would recommend for equity release. 22/08/12 - Reviewed by C G Griffiths. A quick,friendly, and efficient service at a fair price,I would'nt hesitate to reccomend them again. Was very helpful in giving knowledgable advice around a property issue and got in touch with me quickly after emailing through this website - recommended. I found Goldsmith Williams Solicitors to be very efficient, friendly, helpful and totally comitted to my needs. They helped me through my Equity Release quickly and made the whole process easy to understand, keeping me informed almost daily as to progress and completing in half the time I was expecting. I was informed from the off of all charges to them and found them very reasonable and fair. The service that I received was good and easy to understand. I wish that the charges could have been a bit less although the biggest and most annoying charges were made by my previous lenders who not only charged me in excess of Â£2,000.00 for repaying my loan early and then lumped some more as handling fee ! Goldsmith Williams kept me up to date and their manner over the telephone was always cheerful. I am very, very pleased with what the firm has done for me, ten out of ten. We were totally satisfied with all aspects of our case and how it was handled in a swift, clear and professional manner. As far as we were concerned, nothing needed to be improved. We would liek to pass our thanks onto Louise Clarke from the firm, who dealt with our case so well. She was very helpful and patient with us. Goldsmith Williams provide an excellent service and kept to the original fee arrangement. They are reliable, polite and discreet. Enquiries I made were followed up immediately and I was kept informed about my case throughout. they were recommended to me and I would certainly recommend them to others. I thought the service I received from these Solicitors was excellent. They couldn't have done any better. I was kept up to date with everything by phone, email and mail. Their fees were acceptable, and the speed with which they dealt with my business was again excellent. I would definitely recommend them, even given the distance between us (Liverpool - Reading) everything was dealt with in a very satisfactory manner. I cannot think of one thing that they could have done differently that would have improved the service. The speed and efficient completion of our requirements was in fact outstanding. First class service from every angle. Would unhesitatingly recommend this company. We are very sorry to hear you have had a negative experience with our services. We always appreciate feedback - positive or constructive - and utilise it to improve our services. If you would like to discuss your experience further, please contact Hayley Yates at hyates@goldsmithwilliams.co.uk. The service was excellent and I would recommend to others. A highly professional and competent service executed within the timescales promised. Very quick and efficient, staff all extremely polite, happy and friendly, and everything explained plainly and simply each step of the way. Highly recommend, and would definitely use again. Very professional, kept informed every step of the way. I would recommend them to my friends if they wanted to have equity release on their houses. The service and help was top draw,and i would recommend them to anyone that wants to use them. Exceptionally efficient and clear. Every aspect highlighted and explained to the n'nth degree. Excellent service, the charges were reasonable and were agreed before the work started. I would definitely recommend to others. Fast, efficient, professional and polite service. We were kept informed every stage of our dealing With Goldsmith Williams.The charges were very reasonable .Cheaper than our local solicitor.Certainly if we need their services in the future we would not hesitate to contact them in the first instance.Also we would be very happy to recommend them to others,and would like to thank them for their help and courtesy. Good service,good communication, very fair fee structure. ppi claim the charge was 30% great service highly recomended. VERY PROFESSIONAL AND KEPT ME INFORMED EVERY STEP OF THE WAY IN EQUITY RELEASE AND KEPT TO THE TIME SCHEDULE. very professional in all aspects of the job they did on our behalf would highly recommend. I used this firm on recommendation for equity release. The service was very prompt, professional and courteous. Charges appear to be reasonable. I'd have no hesitation in honestly recommending them to others. Excellent service. Very helpful team, everything carried out on time and to a high standard. Service excellent, charges were reasonable, highly recommended. Fantastic solicitors from start to finish. Very reasonably priced also which shocked me. Always rung and kepy me up to date on the progress, helped me with any paperwork i needed to sort out, were helpful in everyway,always poilte on the phone, kept me informed of when paperwork was arriving and when they received it back. Very nice people to deal with i didnt need to worry about a thing they took care of everything for me. I have dealt with many solicitors over the years but Goldsmith Williams are the best by far. Highly recommend to anyone. I would like to praise Tara McDermott for delivering great professional services. She was extremely helpful, friendly. Very quick response to all my question and queries, detailed explanation of process. Definitely using their services in future and recommending to friend. Well done! a fantastic, speedy service, with no hassle or stress. Sensible financial Solutions and GoldsmithWilliams made an excellent team to help me buy my ex husband out of our house. We were both pleased with the speedy results and its made the sadness of our divorce alot easier to bear! The service provided was excellent from start to finish. It was speedy and fluent, their costs were moderate at £445 compaired to our last solicitor 6 years ago of £709, I would definitely recomend Goldsmith Williams to anyone. Excellent - charged what they stated at the start - would strongly recommend. Outstanding service. All paperwork dealt with efficiently and promptly. Would definitely recommend to a friend. GW were outstanding in their service.They performed above and beyond my expectations. i would certainly recommend them and would use again. The service was excellent AND professional. The conveyancer was NEVER too busy to answer my phone calls personally. The charges seemed proportionate and fair. Completed by purchase without any problems. The only problem was the otherside who were stalling, Was worried when i saw these reviews but i could not fault them at all. My friend did a remortgage with them and they completed in a week! I would recommend. Referred to them via my Mortgage broker they were an absolute nightmare. There charges are extortionate, they took over 4 months to complete a simple family related purchase, calls never returned, completly useless. Stay well away!!! Completely useless and managed to alienate our vendors we are having to start from scratch all over again and have upset everyone in our chain. PLEASE DO NOT USE they are rubbish! Goldsmith Williams will never return your calls and cause major delays to property conveyancing, then blame the other solicitors. Extremely unprofessional! !